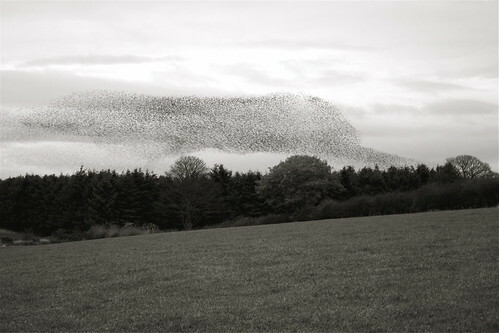 Murmuration of starlings is an amazing mass gathering and synchronised flying and swirling by starlings just before they roost on the trees. 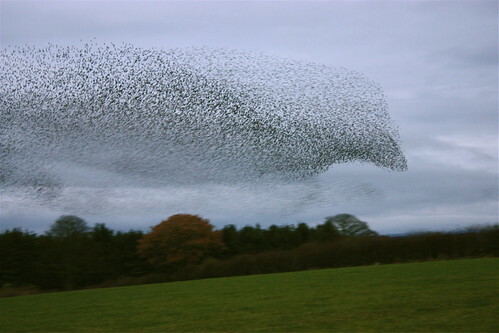 The phenomenon normally takes place during the winter months when a large flock of starlings, which can number from few thousands to hundred thousands, gather togather and perform intricate aerobatics movements; twisting and turning in air thereby creating ever-changing shapes in the sky at the time of roosting. 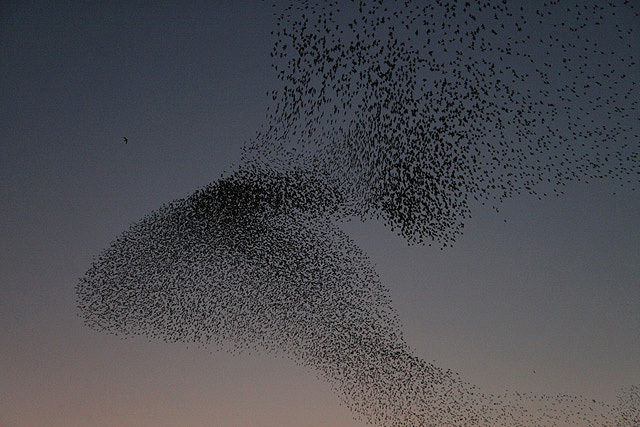 It is one of the most stunning spectacles of the nature. 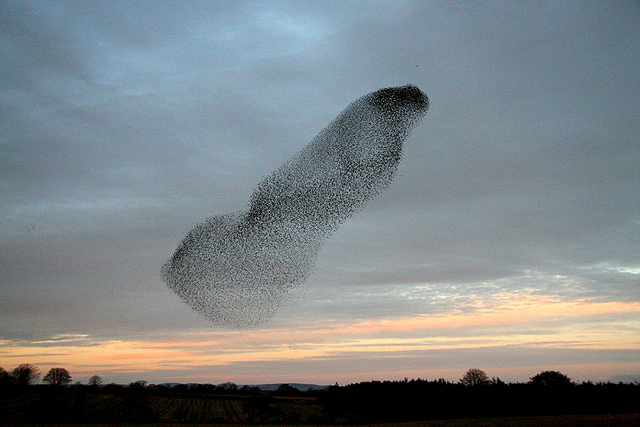 Actual reason for this amazing mass behaviour of these birds has eluded scientists. 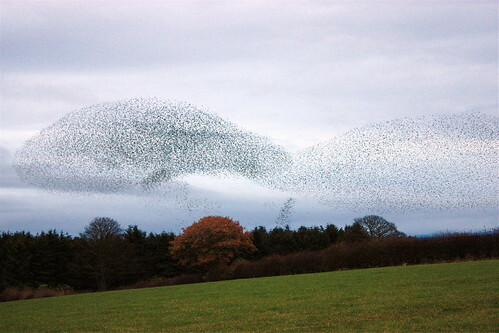 Though murmuration is the collective noun for group of starlings it is also used to describe this amazing display. 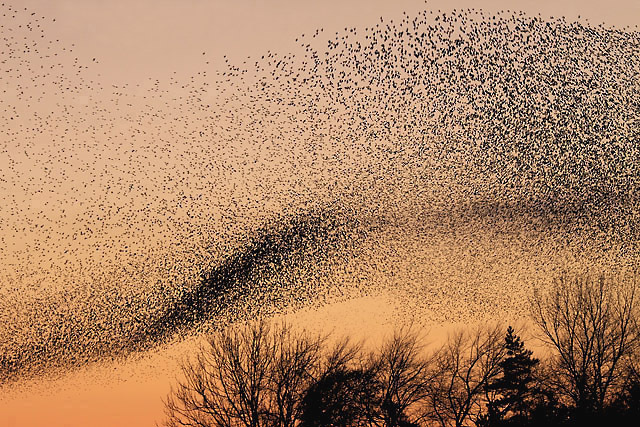 Murmuration of starlings occurs at many places around the World, but there are few locations which seem to be more popular with these birds for mass gathering. 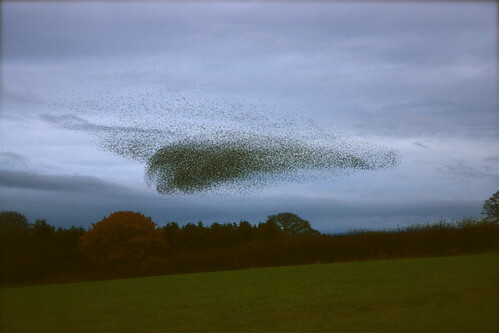 One of such location is Gretna Green in South Scotland where large group of starlings sometimes numbering over 1 million, flock every evening at sunset, specially during the winter months, to perform this amazing act before they settle on the trees to roost for the night. 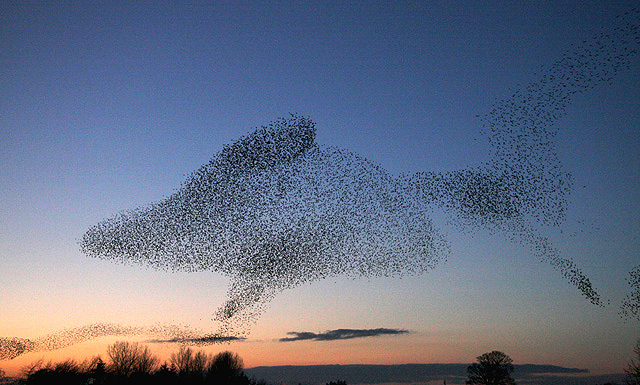 Images and the video given below will give some idea of this stunning spectacle. Global location Map created by Royal Society of Protection of Birds.